What Weeds on Your Lawn Do You Need to Be Worried About? You spend a lot of time treating your grass and taking other steps to keep your yard in good shape, but you can’t seem to get your weed problem under control. A lot of people face this issue and don’t know what solution they should try to overcome it for good. Weeds will harm the look of your lawn if you don’t find a way to get rid of them, but they can also steal nutrients and water from your grass and the plants that you want to keep. If you would like to contain weeds before they get out of hand, learn about the most common ones and how you can address them. Learning how to handle crabgrass is a wise step if your mission involves keeping your lawn at its best throughout the year. This weed will be a challenge to control if you don't eliminate it right away, but spotting and removing it in the spring will help. You can pull them up by the roots if you don't have a lot of crabgrass, but you can use an organic herbicide to treat large areas. Pigweeds are a problem that your lawn will probably face in the late spring and early summer because they prefer a warm climate. Promptly pulling these weeds up from the root as soon as you discover them will make your job much easier. If pigweeds keep popping up in your garden and you need a viable solution, sprinkling some winter mulch will work wonders. With a little effort and a lot of vigilance, you should not have trouble keeping pigweeds at bay. Of all the weeds that you will battle in your quest for a green lawn, dandelions are among the most formidable. By the time they become visible, they have already established strong roots underground, so you will need to pull them up by the roots if you want to prevent them from coming back. While most dandelion seeds only travel about 30 feet from their source, ideal conditions will allow them to float for nearly a mile. You can make a lot of progress when it comes to reducing the number of dandelions in your yard, but getting rid of all of them is next to impossible. Dealing with weeds in your lawn can take a lot of time, and you won't always be able to handle the problem on your own. 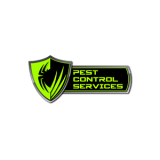 When you need to improve your results and take your lawn to the next level, you can't go wrong when you enlist the help of Pest Control Services. When you turn to our trusted team, we will provide you with a lawn of which anyone would be proud. We offer a number of specialty services, so be sure to give us a call and see how we can help!